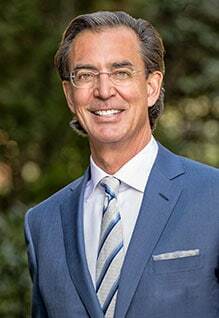 Dr. Morea completed his Plastic Surgery training at Duke University Medical Center in 1996 then began his private practice in Plastic Surgery. Prior to that, he completed a residency in General Surgery at Morristown Memorial Hospital in Morristown, New Jersey, an affiliate of the Columbia College of Physicians and Surgeons. He is a graduate of the Georgetown School of Medicine in Washington, DC. Dr. Morea proudly served in the United States military for 14 years. During that time, he served as a Flight Surgeon and the Battalion Surgeon for an armor unit and an apache helicopter unit. He retired from the United States Army as the commander of a medical unit. Dr. Morea opened the Plastic Surgical Center of North Raleigh in 2000 where he performs cosmetic surgical procedures of the face, breast and body. With 20 years of experience in surgery, Dr. Morea has provided care for thousands of satisfied patients from Raleigh, surrounding areas and throughout the United States. Many of our loyal, happy patients travel back to Dr. Morea time and again for additional procedures. The reason for this is simple; our patients receive the results they desire from a surgeon they can trust. As a Board Certified Plastic Surgeon, Dr. Morea’s meticulous attention to detail is evident with every patient. He takes the time to listen to each patient’s individual aesthetic goals and is thereby able to deliver quality results that are beautiful and natural. Dr. Morea is an active member of St. Luke Evangelist Catholic Church in Raleigh, N.C. where he serves as a Lector and a member of the church softball team. He is an avid runner and has logged thousands of miles over the years. Golf is his favorite pastime now and he enjoys traveling and playing challenging golf courses. He enjoys spending as much time as possible with his two kids, a son in graduate school and a daughter who is in high school. Morristown Memorial Hospital Morristown NJ.